CM Magazine: Canada in the World. NATO. (Canada in the World). 32 pp., pbk., hc. & ebook, $15.35 (pbk. ), $29.95 (hc.). ISBN 978-1-4872-0222 -4 (pbk. ), ISBN 978-1-4872-0221-7 (hc. ), ISBN 978-1-4872-0223-1 (ebook). North Atlantic Treaty Organization-Juvenile literature. United Nations. (Canada in the World). ISBN 978-1-4872-0219-4 (pbk. ), ISBN 978-1-4872-0218-7 (hc. ), ISBN 978-1-4872-0220-0 (ebook). 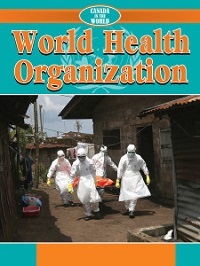 World Health Organization. (Canada in the World). ISBN 978-1-4872-0228-6 (pbk. ), ISBN 978-1-4872-0227-9 (hc. ), ISBN 978-1-4872-0229-3 (ebook). World Trade Organization. (Canada in the World). ISBN 978-1-4872-0225-5 (pbk. ), ISBN 978-1-4872-0224-8 (hc. ), ISBN 978-1-4872-0226-2 (ebook). Poliomyelitis, or polio, is a highly infectious disease. Caused by a virus, it mostly affects young children. The virus develops in the intestines and spreads to the nervous system. In the most severe cases, polio can cause permanent paralysis. There is no cure for polio. However, the virus can be prevented by vaccination. The first polio vaccine was developed by Dr. Jonas Salk. This led to polio being eradicated in many countries. Today polio is endemic only in three countries-Afghanistan, Nigeria, and Pakistan. 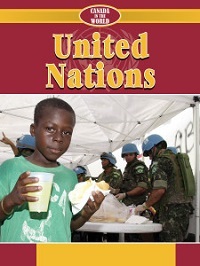 Designed for readers between grades 5 and 7, the �Canada in the World� series describes four international organizations, explaining their role with specific reference to Canada�s participation. With a couple of exceptions where specific projects are detailed, the four titles all carry identical chapter headings, e.g. �An Organization is Born�, �International Cooperation�, �Into the Future�, �Current Initiatives�, etc. The history, mission, unique projects and key issues of each organization are outlined using events as current as 2015. There are frequent and significant segments on Canada�s contributions, both past and present. A biographical portrait of a Canadian figure pivotal in each organization is provided. Milestones in the organization�s history, articles on how readers can get involved and an activity that would help them understand its role better are included. There are lists of internet resources, a glossary and index. The text is well-written and easy to assimilate. In addition, snippets of information are available through diagrams and through the use of information boxes formed by dividing pages into smaller, quickly read segments. This, plus the abundance of stock photographs, provides variety in layout and enhances the readability. 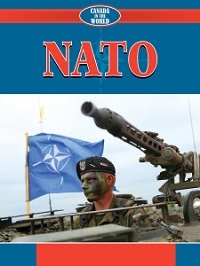 NATO focusses on the political and military alliance that makes up NATO, describing its purpose in defending member countries and maintaining peace in the North Atlantic region. The reader learns of its origins after World War II as an alliance against the aggression of the Soviet Union. It details current goals to prevent the spread of terrorism, weapons of mass destruction and to guard against cyber-attacks. The contribution of John Diefenbaker in the organization is highlighted. Canada�s participation in areas such as the Balkans, the Sudan and Afghanistan are shared as well as Canada�s contributions against piracy. United Nations describes the evolution of the organization from the original League of Nations created in 1919. Maintaining peace and security, improving the lives of the poor, protecting the environment and assisting in disaster relief are just a few of the goals discussed. One of their current key issues is that of landmines as is electoral assistance in certain countries. Lester B Pearson, Prime Minister of Canada from 1963-1968, is highlighted for his contribution to the United Nations. Canada�s involvement as a founding member, its role in Rwanda and as world peacekeepers is praised. World Health Organization details the mission of this agency to encourage the highest attainable standard of health as a fundamental right of all. The history of the organization, before and after its founding in 1946, as well as milestone events since, are delineated. Its success in almost eradicating polio, the struggle against malaria and plans to battle neglected tropical diseases such as leprosy, dengue fever and rabies make for intriguing reading. Brock Chisholm, a Canadian and first general of WHO in 1948 is profiled. Canada�s support in many areas, including women and children�s health programmes, is explained. 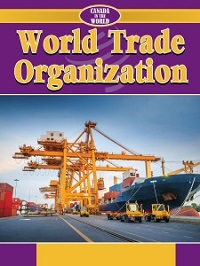 World Trade Organization covers the purpose of WTO in negotiating rules of trades for most of the world�s trading nations, resolving disagreements and making sure all trade practises are fair. Initiatives, such as focussing on making trade faster, cheaper and less bureaucratic, are shared, as is their role in aiding developing countries, with emphasis on the role of women in economy. The book includes a profile of Louis St. Laurent, Canada�s Prime Minister who was involved with the General Agreement of Tariffs and Trade from which the WTO evolved. The reader learns of Canada�s disputes over its distribution of seal products and softwood lumber and also of the many areas in which Canada�s participation in the organization is vital. These books are very much general introductions to the topics, but they whet one�s appetite for more. There is little current information on these organizations at this level, and the Canadian content is particularly in demand. Despite their rather formulaic appearance and approach, they are useful additions to collections in classroom, school or public libraries. Aileen Wortley is a retired librarian from Toronto, ON.